Now that the summer is done I have had to trim the knots of the ends (yes I still get those suckers!!) and I plan to get back into protective and "dry" styles far more often. I trimmed it last week- a good inch all around, but you can't really tell. Here it is before I trimmed it. 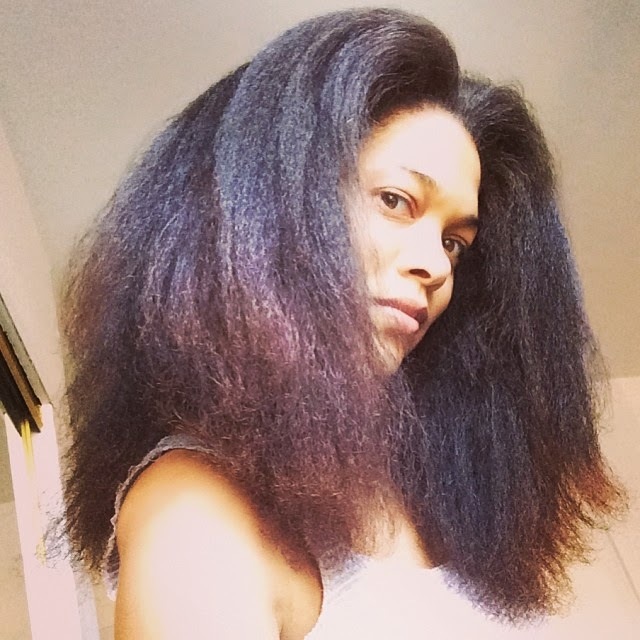 This is after I took that weave pony tail out and it was all mostly straight from being gelled back so enthusiastically lol. It looks almost like a blowout, maybe even straighter than that in the very front. Here it is on a random work day. I had used the Shea moisture line here, including the Souffle(which must be new and I can't find a link for! 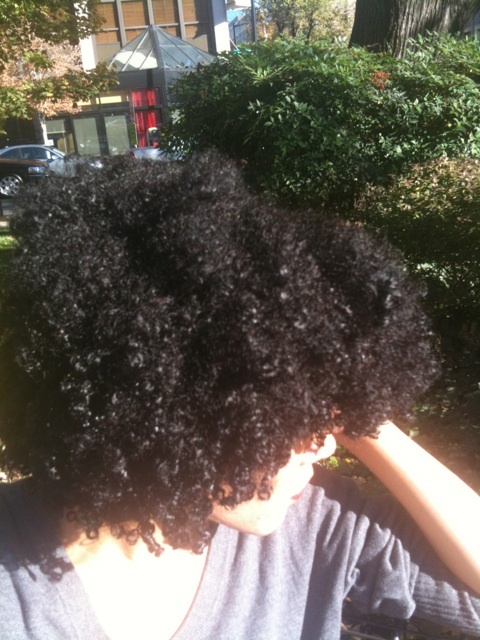 but check The Good Hair Blog's review) and curl smoothie. The Souffle is VERY intersting and a review is forthcoming. I'm not sure how to use it yet, but I like it in theory (weird I know). It is greasy and not best suited for my wash and goes. I got it at Walgreens if you can find it. Your hair looks great! I actually like the souffle' for my wash n go because my hair is very dry, thick and low porosity. After a mosturizer, I use the souffle', then some eco styler. It normally lasts a week and I just add moisturizer or gel as needed. Fellow youtuber “Thecreativelady” mixed the Shea Moisture Curling Soufflé w/Curl Enhancing Smoothie and you might want to try it this way ladies. Hope this helps it looks interesting. Here’s the video link for it.